We have the best and easiest to use site around! Our prices and deals are just crazy! 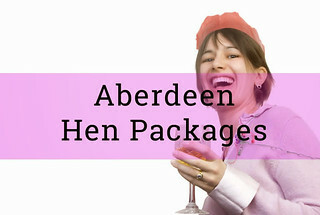 We will ensure you have the best hen weekend ever! Aberdeen is perhaps the finest……. And most under rated city in the whole of the UK! I honestly have a hard time thinking of anywhere else in the UK that has the perfect mix of a cool city vibe and the outdoors like Aberdeen does. In Aberdeen you are almost spoilt for choice when it comes to things to do. This is a city that has just a ton of things for you ladies to get up to in the evening and during the day as well. When it comes to things that the tourists love, Aberdeen is amazing. There is just so much history here that it’s hard for me to just pick a few of them. But if you want to see some truly jaw dropping sights then a walk to and around places like Balmoral Castle and the amazing Craigievar Castle which looks like it was ripped right out of a Disney movie. There really are some amazing sights here in Aberdeen, but these two are a great place to start.